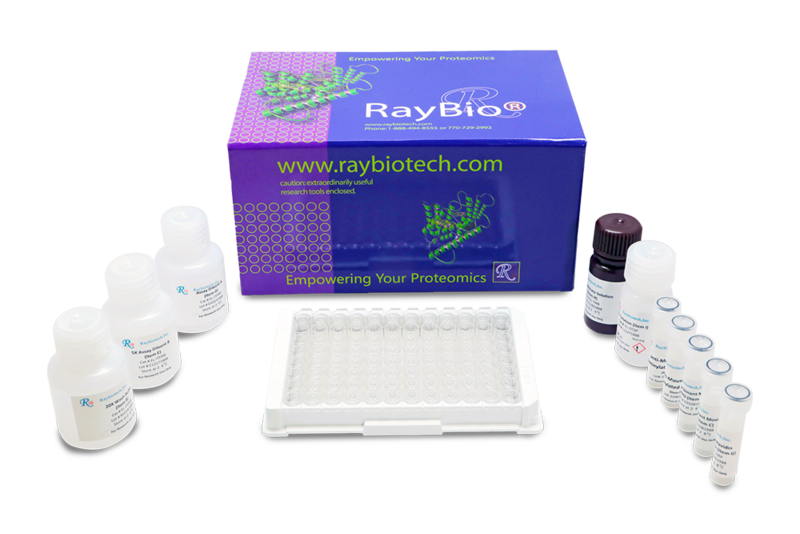 RayBio® Human RANTES (CCL5) ELISA Kit for cell culture supernatants, plasma, and serum samples. 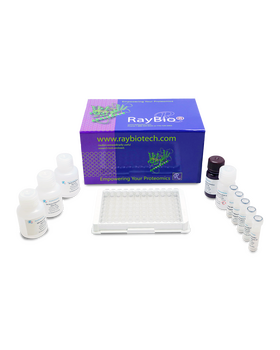 This ELISA kit shows no cross-reactivity with any of the cytokines tested: Human Angiogenin, BDNF, BLC, ENA-78, FGF-4, IL-1 alpha, IL-1 beta, IL-2, IL-3, IL-4, IL-5, IL-7, IL-8, IL-9, IL-10, IL-11, IL-12 p70, IL-12 p40, IL-13, IL-15, I-309, IP-10, G-CSF, GM-CSF, IFN-gamma, Leptin, MCP-1, MCP-2, MCP-3, MDC, MIP-1 alpha, MIP-1 beta, MIP-1 delta, PARC, PDGF, SCF, TARC, TGF-beta, TIMP-1, TIMP-2, TNF-alpha, TNF-beta, TPO, VEGF. Perisdsky Y., Hill J., Zhang M., et al. Dysfunction of brain pericytes in chronic neuroinflammation. J Cereb Blood Flow Metab. 2016 Apr;36(4):794-807. doi: 10.1177/0271678X15606149. 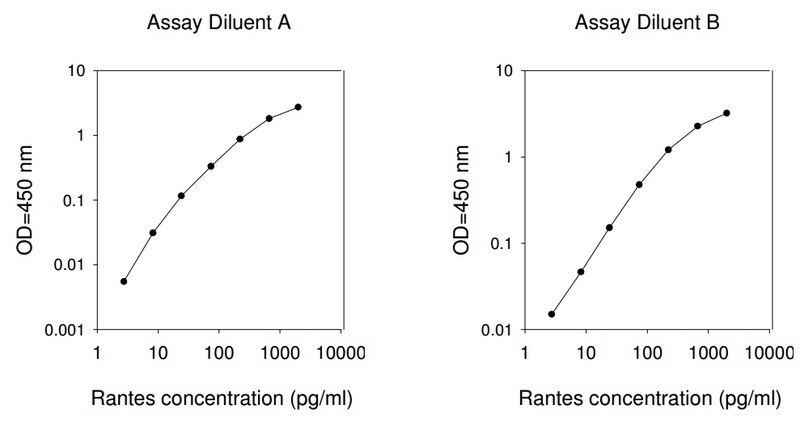 Ciaffi L., Cavassini M., Genne D., et al. Switch to etravirine for HIV-positive patients receiving statin treatment: a prospective study. Eur J Clin Invest. 2015 Jul;45(7):720-30. doi: 10.1111/eci.12464. Zemer-Wassercug N., Haim M., Leshem-Lev D., et al. 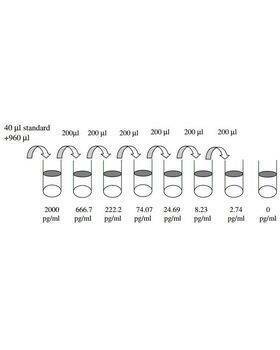 The effect of dabigatran and rivaroxaban on platelet reactivity and inflammatory markers. J Thromb Thrombolysis. 2015 Oct;40(3):340-6. doi: 10.1007/s11239-015-1245-z. Parnell, Grant P., David R. Booth, and Dorothee Nickles. 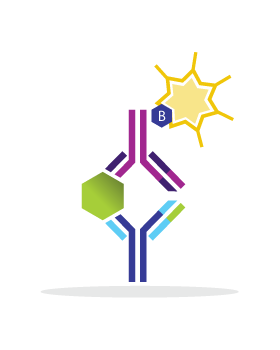 "The Autoimmune Disease-associated Transcription Factors EOMES and TBX21 Are Dysregulated in Multiple Sclerosis and Define a Molecular Subtype of Disease." 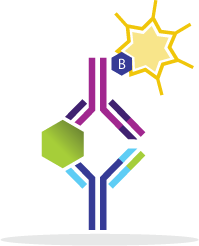 Clinical Immunology. ScienceDirect, 15 Jan. 2014. Web. Rajajendram R., Tham CL., Akhtar MN., et al.